However, I did manage to get one thing on my list finished:) Are you thinking Christmas yet?!?! 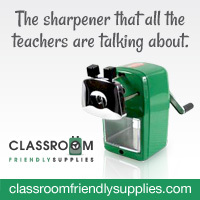 You need to be if you do this project with your class! Every year my students and I make handprint calendars for their X-Mas presents to give to their parents. I just LOVE these things!! They make such an adorable gift and I feel like they are something that many parents will treasure forever. This year, I’m dumping this HUGE project off on my sub:) I warned her that this is a very big job-but she insisted on doing it…she’s awesome!! ;) So, I decided that I would cutesy up my file this year and I have posted it on TPT! The packet includes all of the monthly 2013 calendars for Jan-Dec. (I will be updating the file with new calendars that you can use throughout the years.) 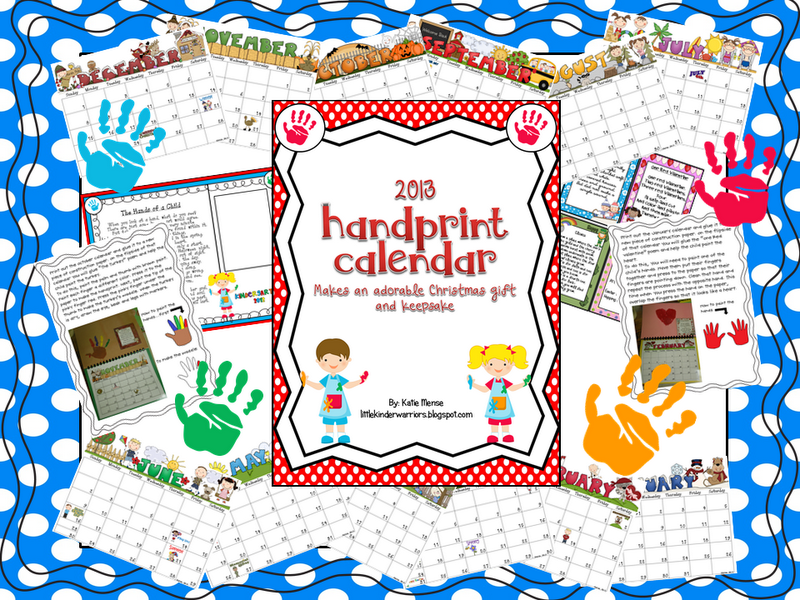 It includes directions and pictures on how to paint the handprint for each month. There are also poems to match the handprint for each month. For the cover of the calendar, I have included a cute handprint poem that explains about the calendar, and there is also a handprint poem for the end of the calendar. I love these! Are the calendars in Black and White or Color? Help, I was getting ready to put my calendars together and I realized a miststake. Thanksgiving should be on the 4th Thursday. It should be on November 28th. By the way I love all of the things you create!